Carmichael Recreation and Park District manages this location and can be reached at: (916) 485-5322. If you're interested, you can click here www.carmichaelpark.com to visit the city's website. 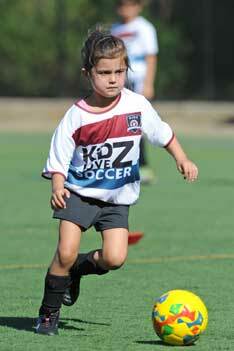 You can sign up for this Kidz Love Soccer class through the Carmichael Recreation and Park District by clicking here. Please note, the city requires you to log into their website and use the class code ( 17-1076C ) to register for this class.